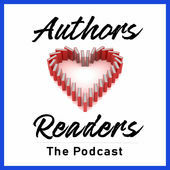 Come have a listen to my interview (under my Patricia Lewin name) on the Authors Love Readers podcast. It was so much fun. Plus, there are other author interviews out there which you might enjoy. All episodes, including interviews with Judith Arnold, Barbara McMahon, Laura Resnick, Laura Marie Altom, and Linda Cardillo. Podcast Home Page.